So you've decided to take the plunge into the world of online poker play. You've taken some time and played the free games that are offered and are ready to throw some meaningful chips into a competitive pot. The first thing that you need to do is determine how you're going to get your cash into your bankroll at whatever site you're looking at. Once you do your research and find the right site, (Be sure you check out our resource on deposit bonuses!) you will no doubt be faced with a decision on what payment option that you want to use. Sites offer a variety of choices that range from direct payment options to third-party payment facilitators. You can use eWallet services, credit cards or even direct bank transfers. Not all sites will accept all payment forms, so it will serve you well to fully examine the options that each site has for you. At the end of the day, poker sites make money by allowing you to play, so they definitely try to provide options that will allow as many players to participate as possible. Below you will find some of the deposit options that are available to you as well as a discussion of security, transaction times, fees and other points of interest as you look to begin your foray into online poker play. We have chosen to highlight options that provide Kiwi poker players the best in speed, ease of use and security. POLi is a relative newcomer in the online money transfer service arena, but it has quickly gained a great reputation for ease of use and for the fact that it offers a free service for securely transferring funds without using your credit card or providing your bank account information to a third party site. When you choose POLi on your poker site you can then select your bank. Log into your bank account. POLi will display your payment details and all that's left is to confirm the bank transfer. The payment is completed by your bank and is transferred to the poker site through POLi. It's that simple. The banks that support POLi transactions include ASB, Kiwibank, ANZ, BankDirect, Westpac, Bank of New Zealand, TSB Bank and The National Bank. POLi prides itself on the security measures it offers to its users. 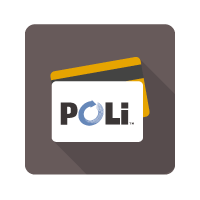 POLi does not capture any bank login information and does not extend any personal information of the user to the end site. All security measures at POLi are overseen by VeriSign and receive its seal of approval. The security, speed and ease of use are the major reasons that POLi stands at the front of payment processing options for online poker players in New Zealand. There is no denying the popularity of the VISA credit/debit card for speed and ease of transactions both on and off line. VISA logs 20,000 transactions every second around the world. Players can obtain a VISA debit card at their bank which will allow immediate deposits at poker sites directly from their bank accounts. VISA credit cards will allow players the flexibility of spreading payments on remaining balances. Either VISA option will allow players to be on their way to the online table within seconds. Security is a top priority for VISA. In addition to their standard 3-digit security code feature, VISA offers real-time fraud protection monitoring. This monitoring will flag any suspicious activity and hold any transactions until the activity is verified by the cardholder. If you have access to a VISA credit or debit card, this option offers a speedy and secure option for online poker deposits. Skrill boasts over 32 million users making it a very popular choice for New Zealand poker players. It gains its reputation for fast and reliable service. They represent a very secure deposit method for online poker players as it does not require any personal information to be transferred and only requires an email address for verification. They also utilise an Anti-Money Laundering Compliance Program to help ensure the legal use of its services. Additional benefits of Skrill for Kiwi players is that it allows for deposits and withdrawals in New Zealand dollars which will save the hassle and fees involved in currency exchange. All transactions using Skrill are immediate and allow players a quick deposit option. Also, attracting players is the low fee structure. Players from New Zealand only pay a deposit fee of 1% (up to $0.60 NZD) and there is no fee for the withdrawal of winnings. There is also no fee for uploading funds via a credit card, though there may be a fee involved in to withdraw funds back to a credit card. The speed and limited fees involved make Skrill a quality deposit choice for online poker players. Next on our list is a online payment processing service that has been providing poker deposit service to players in over 180 countries for more than fifteen years. The company earns great praise from New Zealand players due to its speed, efficiency as well as the flexibility of its service. Not only does Neteller make it easy for Kiwi players to deposit funds into their online poker account, but they also allow easy withdrawal, transferring of funds to other players or individuals, and even wiring funds to brick and mortar casinos to pay for live tournaments. Players simply create an account with a personal username and password and can then immediately use Neteller as a tool to move money to and from a bank account, online poker site or other players. With more than 15 years in the business, Neteller stresses security. As a financial conduit, Neteller is approved by the Financial Services Authority of the United Kingdom to serve the global community. As such, they adhere to strict standards of business to ensure protection for its users from fraud, theft and laundering. All funds (both resting and in-transit) are kept in separate accounts per regulations to help make Neteller a very secure service. Players' information is kept safe through secure user IDs and passwords. As an added benefit, Neteller offers its users award-winning customer service that is prepared to answer any questions a player might have about the features and potential of his account and how best to make use of it. The last major deposit source we want to point out/recommend is credit card giant MasterCard. With more than 55 years of financial service, MasterCard is a name that is trusted the world over by consumers and businesses alike, so it's no surprise that all major Kiwi-friendly poker sites will accept deposits from their credit and debit cards. Like VISA, MasterCard deposits are immediate and their bank issued debit cards offer a great and secure way to transfer funds from a bank account directly into your online poker bankroll. MasterCard has also been on the cutting edge of mobile payments, for which it has received international recognition. As with other major credit cards, security is of paramount importance to MasterCard. This is why it has a loyal following among New Zealand players and players around the world. MasterCard will monitor players' purchasing for any unusual activity and their Zero Liability policy further protects players against fraud and unauthorised transactions. Players use a PIN (personal identification number) as an added security measure. MasterCard also prides itself on its customer service. For ease, security and track record of service, MasterCard is an easy recommendation for New Zealand players. Other payment sources that can be used at various online poker sites. Players do have other options if they prefer not to go with our recommendations above. Players' results will vary and there may be a potential for delays or security concerns. There are many other eWallet companies out there that can be used. We chose to recommend those that are the fastest, safest and most widely used. Additional options are Picclub.com, UseMyWallet and others, but they come with fees and sometimes limited acceptance. Players can also do bank wires and drafts to fund their online play. Both of these methods transfer money directly from a bank account to a poker site. A wire is immediate while a bank draft (or cashier's check) can take up to a few weeks. A disadvantage to both of these methods is that your bank is going to charge you to complete both of these services. Related to these is a relative newcomer to the online deposit arena, the echeck. Basically if you use an echeck to deposit funds, the money is requested from your bank and upon clearance the funds are available use. While this method is very secure it can often times mean a wait of a week or more before funds are approved and ready for play. If you're like us, we want to play now.